When registering from the App, as appropriate, you may be asked to enter your email address and choose a user name and password to help you personalize your iGigBook experience. 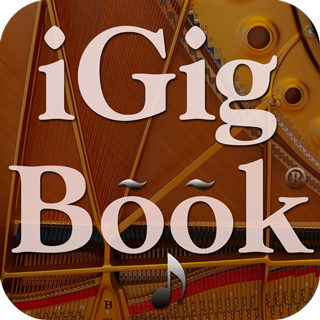 We collect information from you when you register from the iGigBook or iGigBook Mobile app. • To personalize your user experience and deliver content which you are most interested in. Your personal information is contained behind secured networks and is only accessible by a limited number of persons who have special access rights to such systems, and are required to keep the information confidential. In addition, all sensitive/credit information you supply, if applicable, is encrypted via Secure Socket Layer(SSL). We do not sell, trade, or otherwise transfer to outside parties your personally identifiable information(Email Address) unless we provide you with advance notice. This does not include website hosting partners and other parties who assist us in operating our website, conducting our business, or servicing you, so long as those parties agree to keep this information confidential. We may also release your information when we believe release is appropriate to comply with the law, enforce our site policies, or protect ours or others" rights, property, or safety. When it comes to the collection of personal information(Email Address) from children under 13, the Children's Online Privacy Protection Act (COPPA) puts parents in control. The Federal Trade Commission, the nation's consumer protection agency, enforces the COPPA Rule, which spells out what operators of websites and online services must do to protect children's privacy and safety online.